We do NOT charge an application or account activation fee, which saves you $49 - $195 compared to other providers. Our company realizes that you may start with credit card processing. However, there are many other forms of payment. We are here to grow alongside you with compatible solutions when your organization needs to expand into electronic checks, online payments, gift cards, and more. We offer merchant services with competitive transaction rates, low monthly fees, and affordable equipment or software. With streamlined paperwork and straightforward questions, our fast merchant services team aims to get you accepting your customer transactions as soon as possible with the fewest hassles. Our family-owned company is genuinely pro-active for your best interests by building relationships and enhancing business. We enjoy face-to-face interaction first with our clients rather than solely relying upon impersonal technology such as long-distance phone numbers, voicemail, and email. Our company only sells industry-proven equipment that is durable and compatible. You will not get stuck with proprietary or outdated equipment. A state-of-the-art-network backbone ensures your credit card processing transactions go through on demand with no downtime. This allows you to receive funds within 24-72 hours in your bank account of choice. With Internet access, you can view online merchant account data, transaction summaries, and batch detail reports. Now there is no need to wait for statements to balance your books! If you are a business with frequent employee turnover, we will gladly retrain new staff at any point after the initial installation of your equipment. This is important for proper transaction handling and fraud prevention. We are small enough to have a local hometown feel and large enough to handle complex processing for large corporations. Our transaction expertise and service availability allows you to do what you do best--run your business! Customer service representatives are ready to assist you with 24/7 toll-free help desk access. 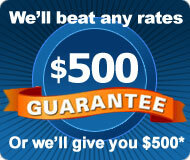 Once you are a client, you become eligible for our rebate rewards program. We enjoy our clients talking good about us, so we track referrals that sign up with our services. It is easy. You refer us and we do all the work! It lets you expand your business. This is a great way to earn free equipment, upgrades, supplies, or other special perks! It is convenient. Refer your contact to us by email, phone, or by our online store. Please call 713-899-5993 or email us at start@TransactionReady.com for more information. Copyright ©2009 TransactionReady.com All rights reserved.